An art exhibition at two venues in Tehran was held earlier this month, in a follow-up of an international project titled No Man’s Art Pop-Up Gallery (NMAG). The show featured 20 emerging artists from the Netherlands, South Africa, China, Russia and Iran, working in a variety of media, Honaronline reported. The exhibition was the ninth in a series of pop-up galleries that have opened around the world. 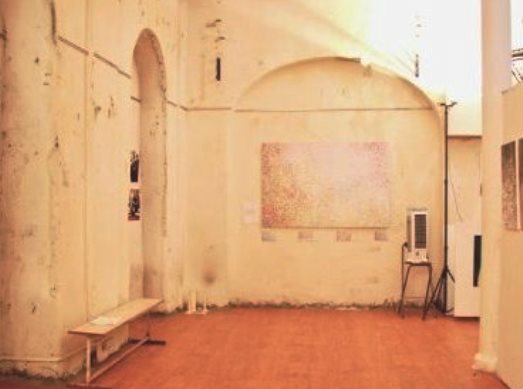 Artists from all previous destinations converged in Tehran to exhibit their artworks along with Iranian artists at Tehran’s Ace Gallery and in an old building near Hafez Bridge. According to the event’s website, NMAG’s exhibition concept aims “to offer an alternative route to the international art market by exhibiting art outside of the cultural, economic and political context in which it was created in an earlier stage of the artist’s career” and to showcase their works in multiple locales. The artists who participated included Iranians Aria Tabandehpour, Majid Biglari, Mehrdad Jafari, Sam Samiei, Sepideh Zamani and Shirin Mohammad and Bertrand Peyrot (France), Merijn Kavelaars (the Netherlands) and Mia Chaplin (South Africa). Artists Emmelie Koster and Zahra Deldadeh were the curators of the show, which wrapped up on June 3. The artworks will be featured in Amsterdam soon. No Man’s Art Gallery project provides an international platform for young artists by organizing pop-up galleries all over the world. At regular intervals it takes on a different city in a different country, where it identifies local young artists with talent. The artists encounter and enter into dialogue with audiences from different cultural backgrounds. The project organizers exhibit their art in a city and take the local art with them to the next city. Previous exhibitions have been held in Cape Town, Amsterdam, Hamburg, Mumbai, Paris, Copenhagen and Shanghai.